TJ Leaf accidentally kicks Cory Joseph below the belt while running down a loose ball. Appeared in 68 games, including 19 starts, averaging 5.0 points, 1.7 assists and 1.6 rebounds and in 13.8 minutes … shot .475 (126-265) from the floor, .316 (12-38) from beyond the arc and .823 (79-96) from the free throw line … scored in double figures 13 times … led team in scoring twice, assists six times and steals nine times … recorded a career-high 18 points (5-12 FG, 1-3 3FG, 7-7 FT), a career-high 4 steals, 4 rebounds and 3 assists in 35 minutes at Brooklyn on 2/6 … scored 11 points and distributed a career-high tying 9 assists in 26 minutes at Detroit on 2/10 … made his first start of the season at Orlando on 11/29 and posted 13 points (3-6 FG, 1-1 3FG, 6-6 FT), 4 assists and 2 rebounds in 25 minutes … recorded 12 points, a career-high 7 rebounds, 5 assists and 2 steals in 35 minutes vs. Philadelphia on 3/24 … posted 12 points, 3 assists and 2 rebounds in 21 minutes vs. LA Lakers … tallied 10 points, 2 rebounds and 2 assists in 19 minutes at Milwaukee on 12/11 … recorded 9 points, 5 assists and 3 steals in 17 minutes vs. Dallas on 1/8 … tallied 12 points (4-8 FG, 2-3 3FG, 2-2 FT), 4 rebounds and 3 assists in 26 minutes vs. Milwaukee on 1/19 … posted 8 points (4-7 FG), 4 assists, 3 rebounds, and 3 steals in 28 minutes at Washington … posted 11 points, 7 assists and 3 rebounds and in 26 minutes vs. LA Lakers on 3/14 … posted 13 points (4-5 FG, 5-8 FT), 3 steals, 2 rebounds and 2 assists in 20 minutes at Minnesota on 4/8… Is in his third NBA season, all with the Spurs … in his two-year NBA career has appeared in 57 games, averaging 3.2 points, 1.5 assists and 1.4 assists in 11.6 minutes … spent part of the past two seasons with the Austin Toros of the NBA D-League, averaging 17.4 points, 5.3 assists, 5.0 rebounds and 1.70 steals in 36.6 minutes in 40 games … was selected to play in the 2013 NBA D-League All-Star but did not play due to injury … was named NBA Development League Performer of the Week for games played through March 19-25, 2012 … was on the Spurs 2012 and 2013 Las Vegas Summer League teams … named a 2012 Summer League All-Star, averaging 17.0 points, 5.2 assists, 4.4 rebounds, 1.80 steals in 33.0 minutes in five games. 2012-13: Appeared in 28 games, starting in nine, averaging 4.5 points, 1.9 assists and 1.9 rebounds in 14.0 minutes … scored in double fi gures three times … registered a career-high 15 points and 3 assists in 25:56 minutes at Minnesota on 3/12 … fi nished with 13 points, 3 rebounds and 3 assists in 26:51 minutes vs. Portland on 3/8 … recorded 10 points, a career-high 8 assists and 6 rebounds in 32:31 minutes at Golden State on 4/15 … fi nished with 8 points, 4 assists and 2 steals vs. Detroit on 3/3 … tallied 6 points, 4 rebounds and 4 assists at Denver 4/10 … … registered 15 DNP’s and placed on the inactive list for 37 games … appeared in 20 playoff games, averaging 3.0 points, 1.6 rebounds and 1.2 assists in 9.6 minutes … saw his fi rst career playoff action, tallying 4 points, 2 rebounds, 1 assist and 1 steal in 10:50 minutes vs. LAL on 4/21 in Game 1 of the fi rst round … tallied 8 points, 4 rebounds, 4 assists, 2 steals and 2 blocks in 16:39 minutes at L.A. Lakers on 4/26/13 in Game 3 of the fi rst round … recorded 4 points and 6 assists in 18:23 minutes at L.A. Lakers on 4/28 in Game 4 of the fi rst round … notched 7 points and 3 assists in 13:46 minutes vs. Golden State 5/14 in the WC Semifi nals …tallied 8 points and 3 rebounds in 9:05 minutes at Miami on 6/9 in the NBA Finals … was assigned to the Austin Toros of the NBA D-League on fi ve different occasions … averaged a team-high 19.4 points, 5.5 assists, 4.8 rebounds and 1.92 steals in 38.5 minutes in 26 starts … selected to play in the seventh annual NBA D-League All-Star Game. 2010-11: Named to the Big 12 All-Rookie Team and earned All-Big 12 Honorable Mention … started all 36 games, averaging 10.4 points, 3.6 rebounds and 3.0 assists in 32.4 minutes in while shooting .422 (136-322) from the ﬁeld, .413 (52-126) from three-point range and .699 (51-73) from the foul line … led the team in scoring four times and rebounding in two games ... scored in double ﬁ gures 21 times, including a season-high 21 points and the game-winner at North Carolina on 12/18 … tallied a team-high 16 points, a season-high 9 rebounds and 4 assists vs. Lamar on 12/1 ... registered 11 points, 9 rebounds, 2 steals and a block vs. Kansas on 1/22 … dished out a career-high 7 assists against Kansas State on 2/28 ... posted 10 points, 6 rebounds, 2 assists and 3 steals in the Big 12 Tournament Semiﬁnals vs. Texas A&M on 3/11 ... scored 14 points in the Big 12 Tournament Championship game vs. Kansas on 3/12. Selected by the San Antonio Spurs in the first round (29th overall pick) in the 2011 NBA Draft. Named to the Big 12 All-Rookie Team and earned All-Big 12 Honorable Mention in his only season at the University of Texas … started all 36 games, averaging 10.4 points, 3.6 rebounds and 3.0 assists in 32.4 minutes in while shooting .422 (136-322) from the fi eld, .413 (52- 126) from three-point range and .699 (51-73) from the foul line … led the team in scoring four times and rebounding in two games ... scored in double fi gures 21 times, including a season-high 21 points and the game-winner at North Carolina on 12/18 … tallied a team-high 16 points, a season-high 9 rebounds and 4 assists vs. Lamar on 12/1 ... registered 11 points, 9 rebounds, 2 steals and a block vs. Kansas on 1/22 … dished out a career-high 7 assists against Kansas State on 2/28 ... posted 10 points, 6 rebounds, 2 assists and 3 steals in the Big 12 Tournament Semifi nals vs. Texas A&M on 3/11 ... scored 14 points in the Big 12 Tournament Championship game vs. Kansas on 3/12. Spent his junior and senior years at Findlay Prep in Henderson, NV ... averaged a team-best 18.8 points, 4.9 assists, 6.7 rebounds and 2.5 steals per game as a senior ... shot .539 (216-401) from the ﬂoor, .469 (60-128) from threepoint range and .796 (148-186) from the free throw line while leading Findlay to a 32-2 record ... paced Findlay to three wins in three days (April 1-3) to capture the prestigious ESPN Rise National High School Invitational (NHSI) Championship for the second straight year ... claimed Tournament MVP honors at the NHSI, averaging 20.3 points per game over the three contests ... had a team-high 17 points, 4 rebounds and 3 steals in Findlay's 59-46 win over Montverde Academy (Montverde, Fla.) in the tourney championship game … was named a McDonald's All-American and Jordan All-American as a senior ... ﬁrst-team All-American by Parade Magazine ... won the three-point contest at the McDonald's All-American Game ... played 14 minutes for the West team in a 107-104 victory at the McDonald's All-American Game in Columbus, OH on 3/31/10 ... started and played 22 minutes for the World Select Team in the 13th annual Nike Hoop Summit on 4/11/10 in Portland, OR ... started and posted 14 points, seven assists, ﬁve boards and four steals in 27 minutes to help the West Team to a 129-125 win at the Jordan Brand Classic at Madison Square Garden on 4/17/10 ... helped lead Findlay to a 33-0 record in his junior season ... averaged 10.5 ppg, 4.9 assists, 6.4 rebounds and 2.1 steals per game as a junior ... spent his freshman and sophomore seasons at Pickering High School (Pickering, Ontario) and led his team to back-to-back provincial championships. 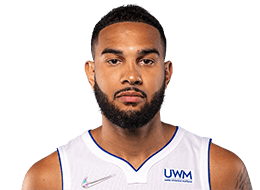 Full name is Cory Ephram Joseph ... son of David and Connie Joseph ... older brother, Devoe, is a senior on the basketball team at the University of Minnesota.